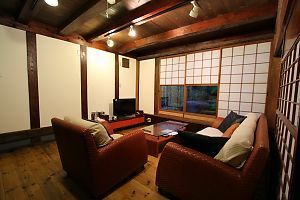 This inn has renewed the old house of HIDA Takayama. Open-air bath and the home bath has become a private family bath. 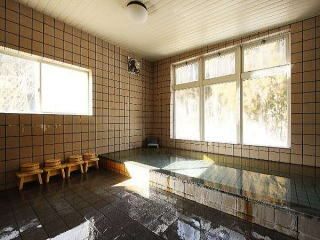 Your room and the hotel is warm in the floor heating system that uses hot spring heat. There is Toilet and no wash basin in the room. There is toilet and wash basin In the room. 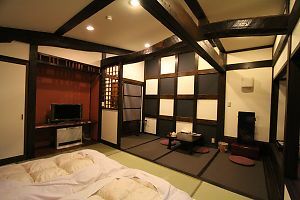 there is a bedroom with 8 tatami mats(13m2). Ideal room for two families and two couple. there is a washroom. 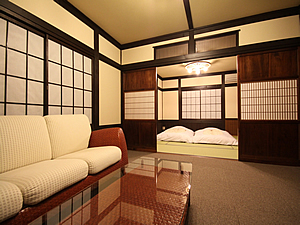 On the second floor there is a 12 tatami bedroom. which was built 100 years ago. 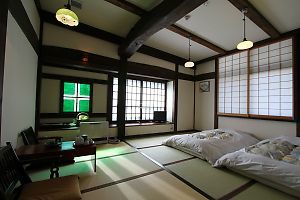 Old houses and furniture of Hida Takayama is the modern space that fused. All of the bath has become a private family bath. 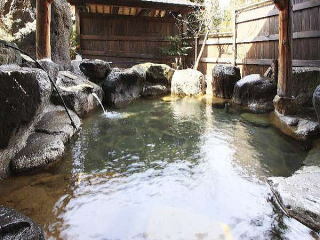 It is a natural hot spring flowing directly from the hot spring source. Your family, you will put in a hot spring with only your friends. Never take a bath together with other people. Open-air bath is located in two places. you can't use the shampoo and soap. Please take a tag on the front. It will use over the entrance of the open-air bath. You lock the door and use it. Please return the tag to the front after use. You can't use if there is no tag on the front. Please wait until the tag comes back. Indoor bath is located in two places. Located in a building, you can use the shampoo and soap. Please take a tag on the front. You change over the plate at the entrance, now in use. You lock the door and use it. The parking lot is here for 14 for free of charge. Please tell me the time of use of the bath? It is the use of the 30 to 40 minutes. Can I use a credit card ? Credit card can not be used. You can use only the Japanese yen. Can I use the Internet ? You can use the free Wi-Fi. What time is the time of breakfast dinner? Please tell if you wish. Do you have a coin-operated laundry or cleaning services ? You can use the washing machine for home. Dollar can not be used. I can pick up Shinhotaka Ropeway. There are no refrigerators in the room. There is a communal refrigerator in front. Please to manage on their own. We can not keep any valuables. and we are not responsible for lost or stolen valuables. Copyright (C) 麓庵　民宿たきざわ All Rights Reserved.